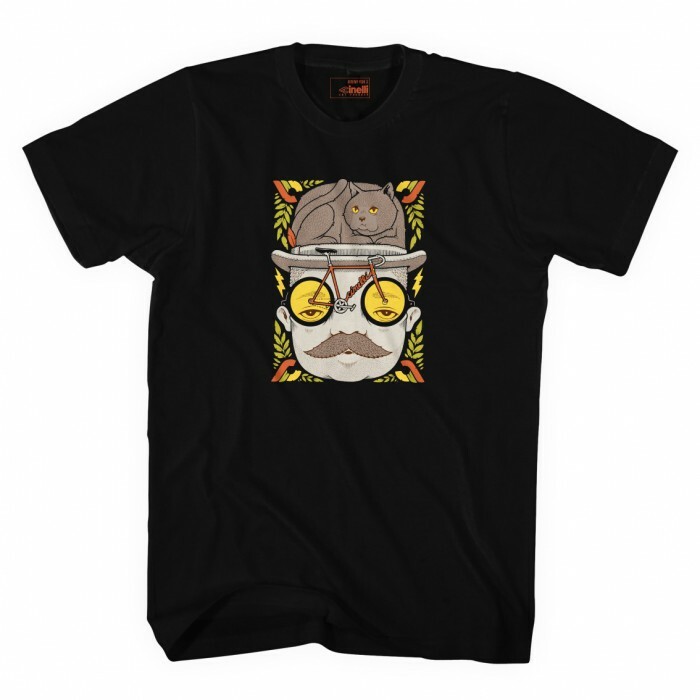 High quality cotton t-shirt with original design by American Artist Jeremy Fish for the Cinelli Art Program. This classic tee features a standard-fit and is precision screen printed with care and the utmost attention to detail. Jeremy is a long time friend of Cinelli and his artwork is mainly about storytelling and communication, told through a library of characters and symbols.